The ice‐covered season plays an important role in the development of river channels, a new study from the University of Eastern Finland shows. The spatial variability of sediment transport and differences in depositional and erosional locations increase in ice‐covered conditions. The greatest erosional forces are located in the shallow sections of the river in both open‐channel and ice‐covered conditions. However, ice cover narrowed the flow area. The findings were published in Earth Surface Processes and Landforms. 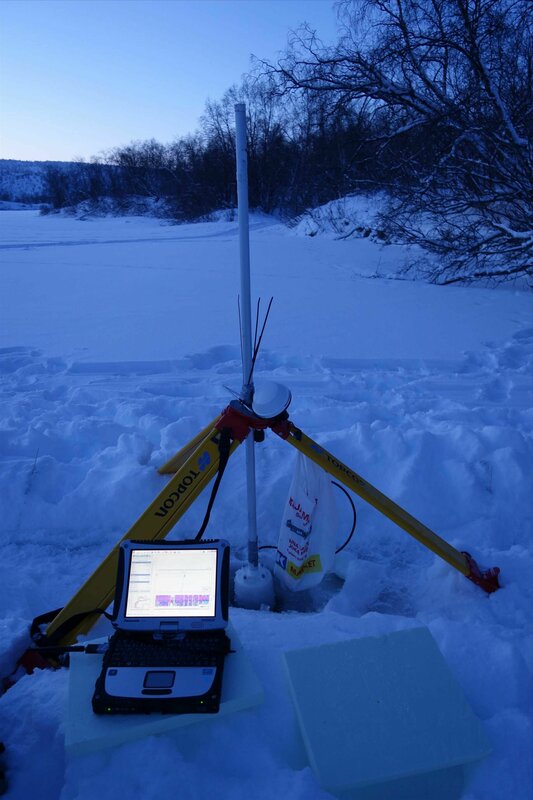 "In subarctic regions, the ice-covered flow season lasts up to eight months of the year, and this is something that should be taken into consideration when analysing sediment transport in rivers. Yet, this has very rarely been the case," says Dr. Eliisa Lotsari from the University of Eastern Finland.